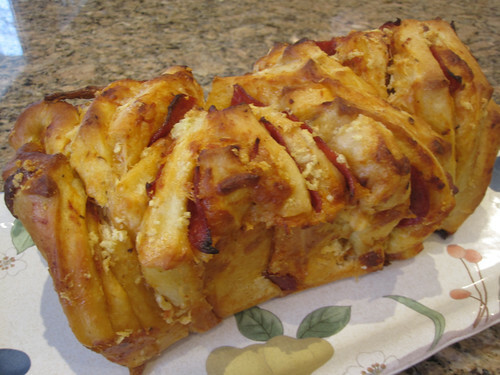 Check out this is a fun and easy twist on traditional pizza – think pizza monkey bread. The best part is you can customize it with your favourite pizza toppings! It’s a great snack, fun appetizer, or even a filling main course, with a bottle/glass of wine of course :). Lightly flour your work surface, and then turn the dough out onto the surface, kneading it just until it comes together into a ball. Preheat the oven to 350FºF.